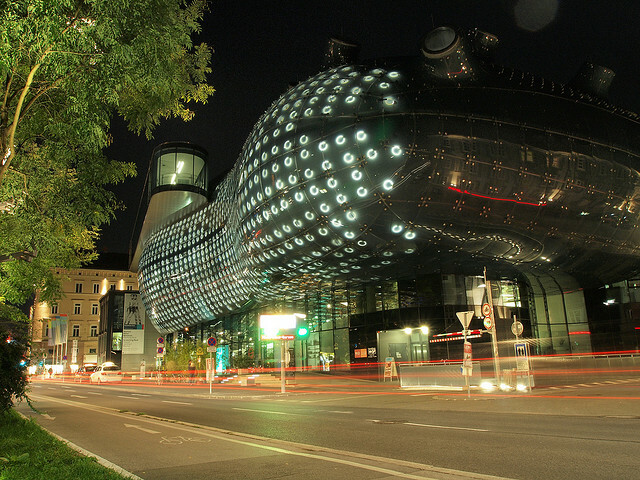 ... display that faces the Mur River and the city center; the BIX Media Facade is a stunning fusion of architecture and the latest media technology. foster a feeling of European citizenship. 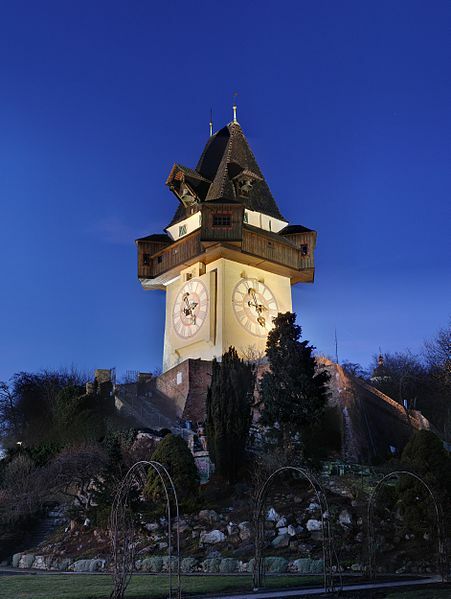 In 2003 the European Capital of Culture was Graz, Austria. 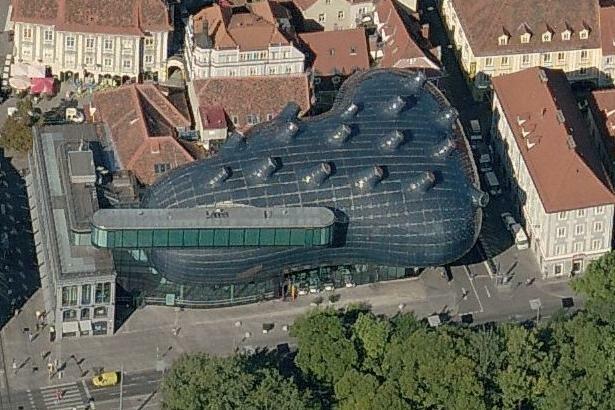 Kunsthaus Graz was constructed as a part of the celebrations and exhibitions that went along with the yearlong celebration of European Culture. 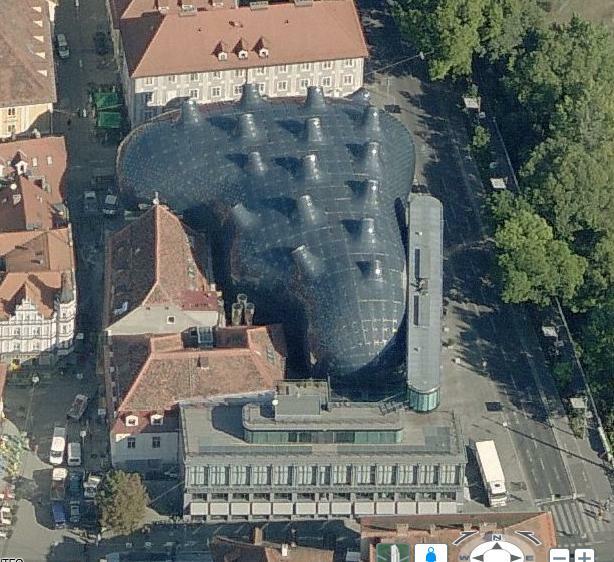 I think that I for one would likely have thought Cook and Fournier somewhat crazy had I seen plans for the Kunsthaus Graz before it's construction. 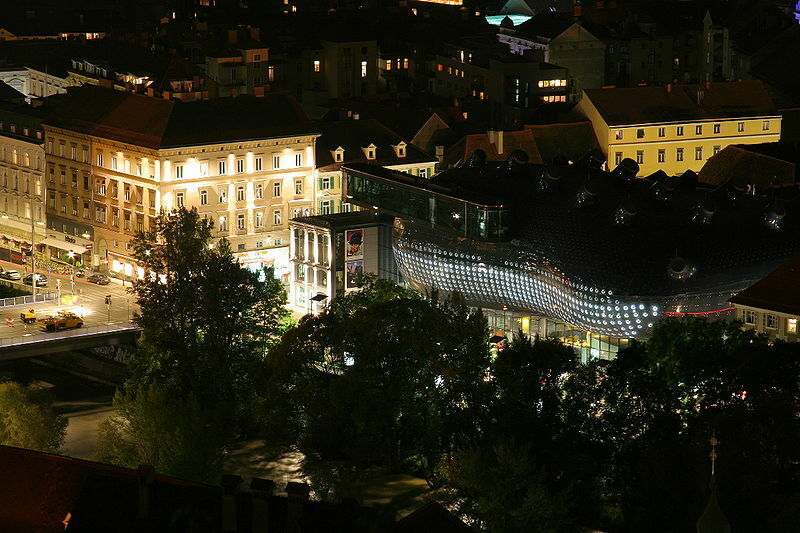 I simply could not have had the vision to realize that instead of looking ugly and out of place amongst the baroque red tile roofs of Graz the building actually manages to merge with and enhance the cityscape. 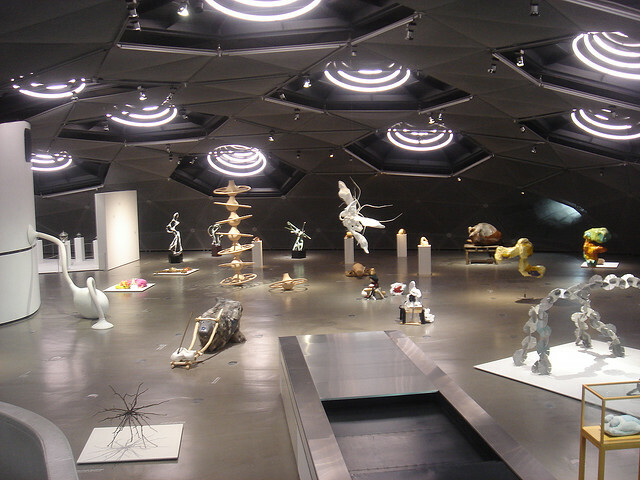 It is probably that type of vision that separates the average architect from the truly extraordinary architect. 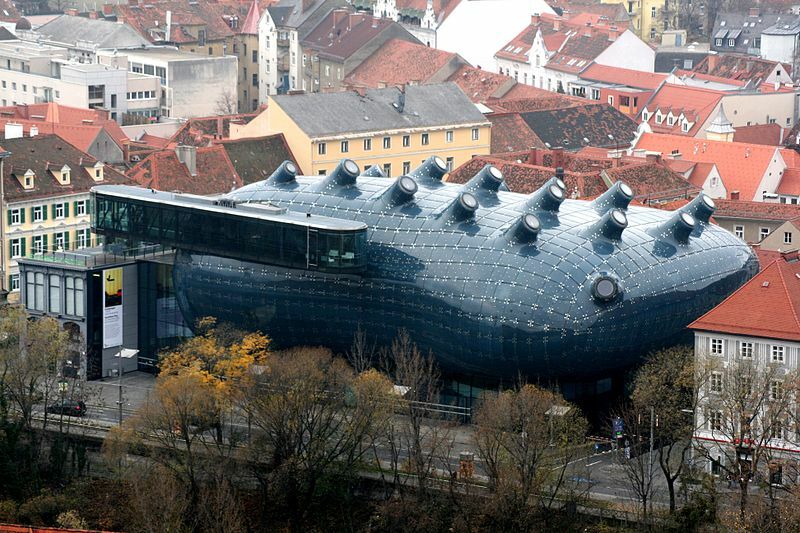 Kunsthaus Graz is built primarily of reinforced concrete and is covered in translucent warm-blue acrylic paneling with white plaster and metal mesh on the interior. 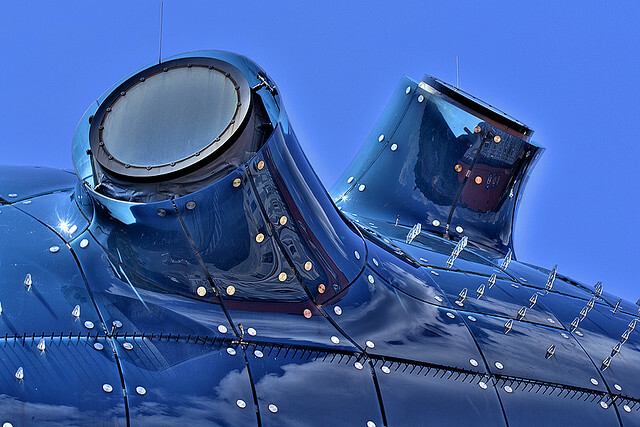 There are 16 "nozzles" on the top of the building; one nozzle provides for smoke evacuation in case of fire, one offers a view of the original architectural icon of Graz, the Clock Tower [which is a truly remarkable piece of architecture in its own right - image source] and the rest provide for daylight and artificial light sources on the upper exhibition floors. 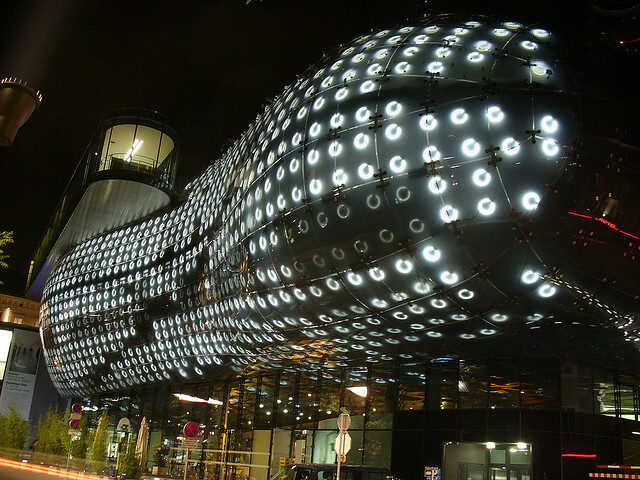 Named for the combination of the words "Big" and "Pixels" the BIX Media Facade features 930 fluorescent rings that are embedded in the outer skin with the illumination level of each ring being variable from 0% to 100%. Operating as "pixels" they are controlled by a computer and are capable of displays as varied as the mind and imagination of those who get a chance to program them. 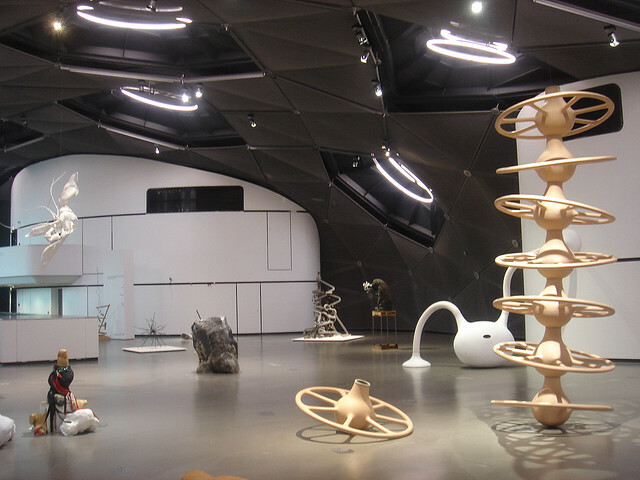 The Kunsthaus Gras is primarily an exhibition space but there are no permanent collections; instead the establishment aims to offer an ever changing array of exhibits of modern and contemporary art from the last 50 years or so. There is no Google "Street View" but I did manage to snag a couple of nice screen shots from the "Bird's Eye" view in Bing Maps which are actually quite cool. On the video tab there are a couple of videos which show the BIX Media Facade in action; while I think the videos probably give a good idea of what the displays look like I think that to get a true feel for what the Kunsthaus Graz is all about you would need to visit in person; maybe one day. In the meantime I will conent myself with the videos and the excellent book "Peter Cook And Colin Fournier: Friendly Alien ".